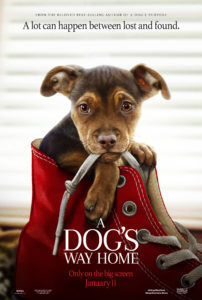 Ashley Judd stars in a new film about a dog that embarks on a 400-mile journey to find her way him. Judd has a deep love for animals both domestic and wild and we talked with her about everything from her own service dogs to camping in a sleeping bag and waking up in the wee hours of the morning to track bonobo apes in the Congo. Plus we talked faith, family and the importance of showing up. Risen Magazine: A Dog’s Way Home comes from a book with the same name. Had you read the book? What made you want to be a part of this project? 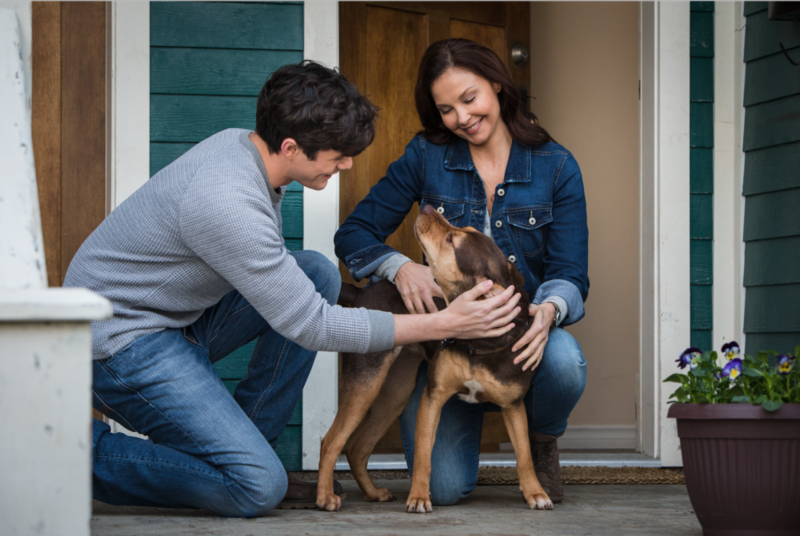 Ashley Judd: I had not read the book, but I definitely wanted to be a part of the film because for one, I already had the pleasure of working with Charles Martin Smith right before on the Dolphin Tale movies and I know his values, and I know his heart and creativity. Of course, I am an animal lover. I’ve had my two dogs for 16 and 17 years, respectively, and we were inseparable. They went to different countries around the world with me. They were on the set of every film I made while they were still living. At any given moment depending on the fluctuating population and who shows up, and who needs to go to heaven, I’ve got five to seven cats. It was delightful to be a part of the movie and to tell such a sweet story. RM: You had mentioned that you had worked with the director on the Dolphin Tale movies, what was it like this time around? AJ: We have such a nice friendship and I really like where Charles is coming from. He’s able to make really substantive movies that are about something that’s very heartfelt, while also making them very grounded and realistic. They’re not saccharine, emotionally trite, or manipulative kinds of movies. I remember when I read the Dolphin Tale script. I was so shocked to find out it was a true story. I was naturally very intrigued as to how someone was going to tell it without it being coy. Charles is a really creative filmmaker, he made The Snow Walker which is one of my all-time favorite movies. In his very capable and discreet hands this kind of material becomes really powerful. RM: Your character is a veteran with PTSD who benefits from the relationship with a therapy dog. In real life, you’ve also had service animals. From your perspective, why do you think animals can be so effective in the healing process? AJ: It’s the unconditional love and acceptance. Dogs love us in spite of our circumstances, our flaws, what mistakes we may or may not have made during the course of the day. They have such a forgiving and gracious spirit. Sometimes when I don’t necessarily understand or can’t square myself with all of the troubles in the world and I wonder about God and I challenge myself to update, if you will, my God-concept so that I can find a God that’s bigger than the hurt and the disappointment with which we live, looking to a dog and their ability to love unconditionally and to be so patient and forgiving is a pretty decent inspiration for returning to a God-concept that’s gracious and kind. Credit: James Dittiger. ©2018 CTMG, Inc. All Rights Reserved. RM: As you mentioned God, what your faith looks like now? AJ: My faith is the bedrock of my life. I start every day with three devotional readings that I’ve been reading for many years now. I have a seated meditation practice after which I say my prayers and I try to bring those values and that integrity into everything that I do. I put a lot of thought every year into my holiday card and try to make it reflect the spiritual journey I’ve been on for the previous year, as well as express my highest values and aspirations. I think that courage, and moral leadership, and being a good custodian of public emotion, and all the things that I try to do in the other aspects of my life come, directly from my faith practice. I think that courage, and moral leadership, and being a good custodian of public emotion, and all the things that I try to do in the other aspects of my life come, directly from my faith practice. RM: I wanted to talk to you about that too because I feel like you seem to have a very strong social conscience. You’ve been involved with organizations for decades and traveled to more than a dozen countries. It would be so much easier to just write a check, and I’m sure you probably do that as well, but it seems you take that extra step to get involved. Why do you choose to spend your time this way? AJ: Well if I think about the comfort I get from my animals, it’s their presence that is the essential ingredient of their care and compassion. That’s what Bella is so determined to do in the movie. She separated from her human and she’s determined to show up again. I just have a saying that’s been a guiding principle for me which is I can pretend to care, but I can’t pretend to show up. Just sitting with people and witnessing their realities, they’re actually experiencing it, and having that exchange of experience and strength of trauma, of hope, is something that really fills my soul. For some reason, God has seen fit for it to be helpful to others in some small way. Then I get to come home and help raise public awareness about the various challenges and successes that vulnerable people are experiencing around the world. It’s something that I love and am very grateful for. At this point, I just hit the 20 country mark, believe it or not with trips to the Congo, Sri Lanka and Bangladesh. RM: Other than your animals we talked about, how have animals or wildlife impacted you as you’ve traveled the world? AJ: I spent the month of June in the rainforest in the Congo. I was camping in what is called the second lung of the planet, the first lung, of course, rainforest in the Amazon. I was getting up every day at 2:45 AM to start tracking a great ape called the bonobo. I did that for a month. Bonobos are our closest living relative. They’re endangered. There are only about 10,000-15,000 in the world. They only exist in this one isolated part of the Congo. We have a lot to learn from them because they are an egalitarian species that is very affectionate and empathetic. They’re deeply invested in the well being of every member of their community. A female is always the highest ranking member of a group, but males and females are equal and sons get their status through their mothers, they get their safety, and their security and their reproductive status through their mothers. I’m going back in February to sleep in my sleeping bag in a tent in the Congo again for another month to follow the bonobos. RM: Wow. What’s the purpose behind your research? AJ: Well I’m really interested in what we might called the bonobo principle, which is how female coalitions create a stable and safe society for all members of the community. Everyone is familiar with chimpanzees who tend to be an aggressive and violent species, but here we’ve got these bonobos, so few have ever even heard of them, and when folks want to say, hey after #metoo and #timesup, what is it going to look like. Well the bonobos are showing us what it can look like, so it’s for my personal interest in an egalitarian and safe society for all members of society. I’m writing my second book at the moment, my intent is to be the last chapter of the book. I just have a saying that’s been a guiding principle for me which is I can pretend to care, but I can’t pretend to show up. Just sitting with people and witnessing their realities, they’re actually experiencing it, and having that exchange of experience and strength of trauma, of hope, is something that really fills my soul. RM: Family was also a big theme within the film A Dog’s Way Home. Speak a little bit about the importance of connecting and that belonging with others. AJ: Yes, we all have a profound need safety and intimacy. One of the core meanings is closeness. Bella shows us love, devotion, and belonging, like when she’s displaced, her drive is to be reunited with her family. The movie also reminds us, as the Dolphin Tale movies do, that families can look a lot of different ways. There’s a family that God gives us and we also have a wonderful opportunity to create a chosen family whom we can love and we can be loved. RM: What do you hope is the overall takeaway from the film? AJ: I think the belonging that you just mentioned. We’ll go to extraordinary lengths in order to be with our people, whoever those people happen to me. We can have adventures and make new friends along the way, just like Bella does. She touches everyone with whom she comes in contact during her 400-mile odyssey. 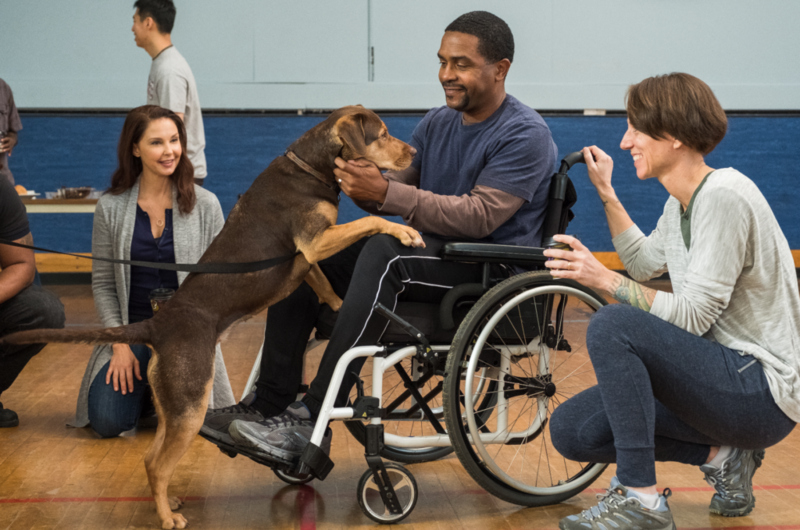 A Dog’s Way Home opens Friday.